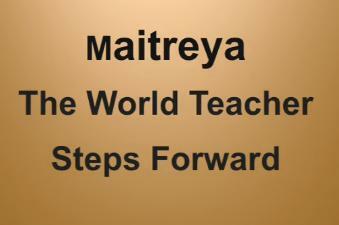 It is with great pleasure that we share with you information about the Emergence of Maitreya—the World Teacher for all humanity. We believe that, in time, Maitreya will be seen as fulfilling the expectations of the world’s traditions, religious or non-religious, for a "Coming One"–whether as Christ, Messiah, the fifth Buddha, Krishna, or the Imam Mahdi. At this time of great political, economic, and social crisis, Maitreya will inspire humanity to see itself as one family, and create a civilization based on sharing, economic and social justice, peace and global cooperation. We encourage you to subscribe to Share International magazine as the authentic source of all ongoing information, including the most recent updates, inspiring articles, and a monthly message of hope from the Master— (Whose name is currently being withheld for various reasons), through Benjamin Creme. You may also subscribe to our free monthly Emergence Newsletter. You can sign up for either the electronic version (10 times a year) or print version (4 times a year). 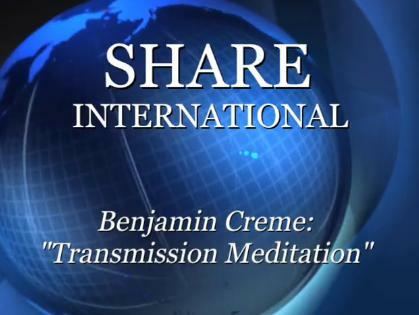 Share International also provides information on Transmission Meditation, a world service activity, and can connect you with groups doing this valuable work. To learn about it, click here. Finally, for your convenience, you can locate a regional center in the USA that can provide information on local Transmission Meditation groups, local lecture events, and other activities in your area. Click your state on the map to the left to navigate to your region's page.